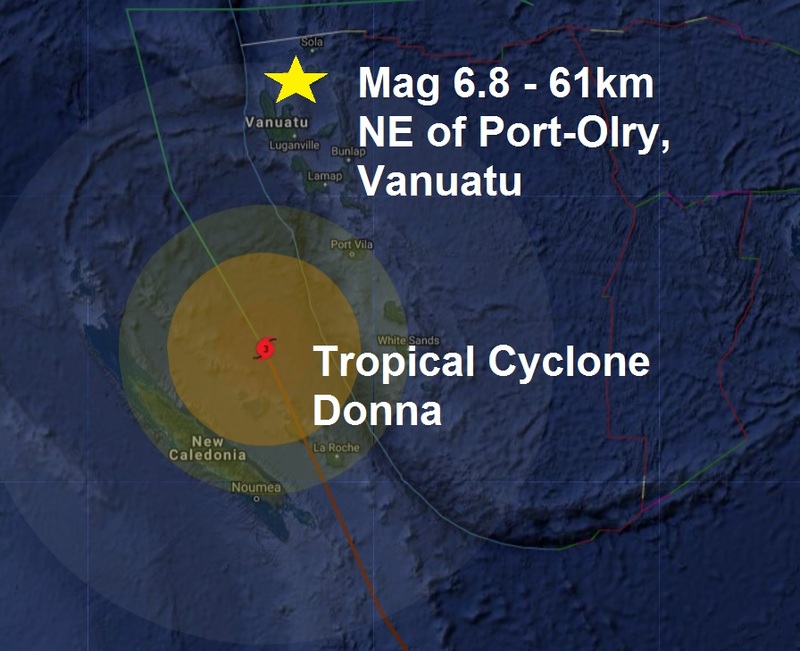 It’s raining major quakes folks the third in 24 hours and it’s a big one, a magnitude 6.8 north east of Port Olry, Vanuatu. And once again as we have seen so often the quake came on the back end of the category 3 tropical cyclone Donna. Another big Coronal hole is emerging on the Sun’s south eastern limb, so we could be in for more in the coming days.